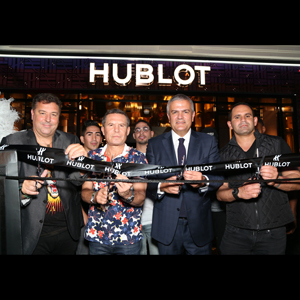 August 25, 2017 [Las Vegas, NV] – Tonight, Hublot hosted a one-of-a-kind experience and ribbon cutting ceremony with boxing legends to officially open its new Hublot Boutique in Caesar’s Palace Forum Shops – an enlarged store next to its previous location. To commemorate Hublot’s new boutique and renewed partnership with undefeatedeleven-time, five-division professional boxing world champion Floyd Mayweather Jr., the brand released a limited edition capsule collection of four Vegas boutique exclusive Big Bang Las Vegas Special Edition styles. 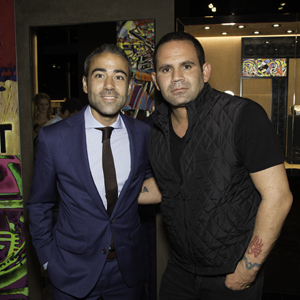 In true Hublot fashion, the brand celebrated the opening with an official Hublot interactive ‘boxing ring’ as “red carpet”. 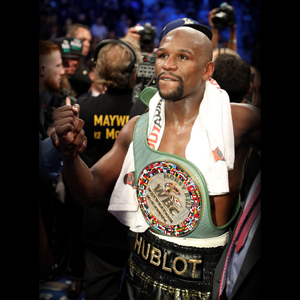 Guests were invited to take a photo with Hublot-branded boxing props, including robes, boxing gloves, and championship belt. 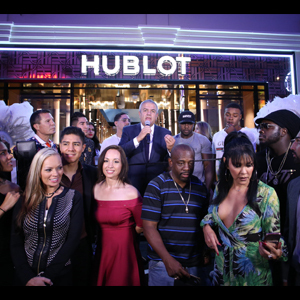 Boxing legends, Julio César Chávez, Ernie Shavers, Danny Garcia, Mikey Garcia, Shawn Porter, Andre Berto, Paulie Malignaggi, and Errol Spence, Jr., were in attendance to celebrate with Hublot. Other notable attendees include friends of the brand Eduardo Serio of Black Jaguar White Tiger and Martin Fuente, Ferrari Scuderia Corsa driver. 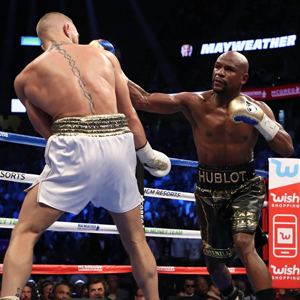 Tomorrow’s fight marks the second partnership between Hublot and Mayweather, having first teamed up with the undefeated fighter in 2015 for the “Fight of the Century,” in which Mayweather beat Manny Pacquiao by unanimous decision. 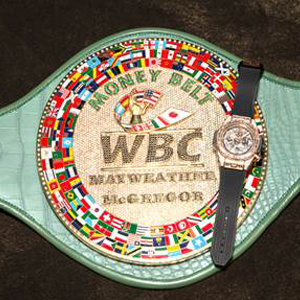 Mayweather will once again sport Hublot across the waistband of his boxing trunks as he enters the ring to take on McGregor at the T-Mobile Arena. The Big Bang Las Vegas Special Edition pieces, all in the signature Hublot “All Black” motif, are adorned with black diamonds in different cuts, a diamond “lucky number 7” on the dial, and a caseback featuring the “Fabulous Las Vegas” sign, with black alligator “Hornback” straps stitched to engraved black rubber that reads “High Roller” for Vegas bon vivants. Full details enclosed.